The Caribbean island of St Kitts currently relies almost entirely on diesel for electricity generation, leaving it vulnerable to global oil price variations that directly impact the cost of electricity. The island’s electrical power generation, transmission, distribution and retail are provided by the St Kitts Electricity Company (SKELEC), a public utility company. 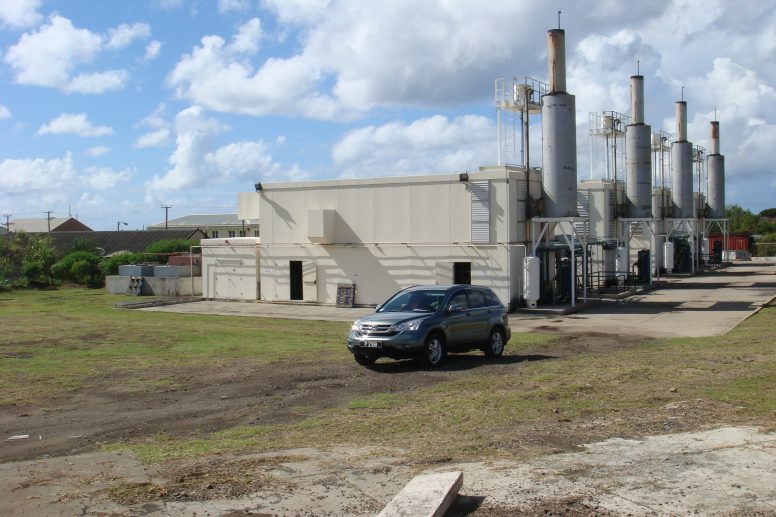 At present, SKELEC has one power station with a total capacity of approximately 43 MW, to service a peak demand of approximately 24 MW and a base SKELEC, together with the St Kitts’ Government, aims to shift away from diesel powered electricity to more sustainable sources of energy. As an island nation, St Kitts has the opportunity to take advantage of renewable sources such as tidal and oﬀ-shore wind, as well as geothermal and solar. Using these energy sources will create a more diversified energy mix, meaning the company and its customers are less likely to be impacted by unpredictable ﬂuctuations in oil price. The economic growth and development of a country depends substantially on the reliability of its electrical power supply. Furthermore, the growth of embedded renewable generation brings its own challenges, including lower voltage generation, changes in power ﬂow, and changes in supply and demand. SKELEC identified that a network management system comprising a SCADA Control Centre and Remote Terminal Units (RTUs) installed throughout the electrical network in secondary switching stations, would prepare the utility to embrace future challenges. The new system would enable the transfer of real-time data using standard communications protocols and enable instantaneous remote control and state monitoring of the overall grid. It would also would allow the company to proactively manage the increase in variable load caused by diﬀerent sources, in real-time, and support the implementation of an ongoing smart grid project, including efficient smart metering and smart electricity utilisation. Moving to a fully remote-automated system was a big step for SKELEC, since only a small number of its switching substations contained locally automated switchgear; the majority were manual. Lucy Electric’s goal was to create a bespoke network management solution, ﬂexible enough to integrate into SKELEC’s ongoing smart grid project. 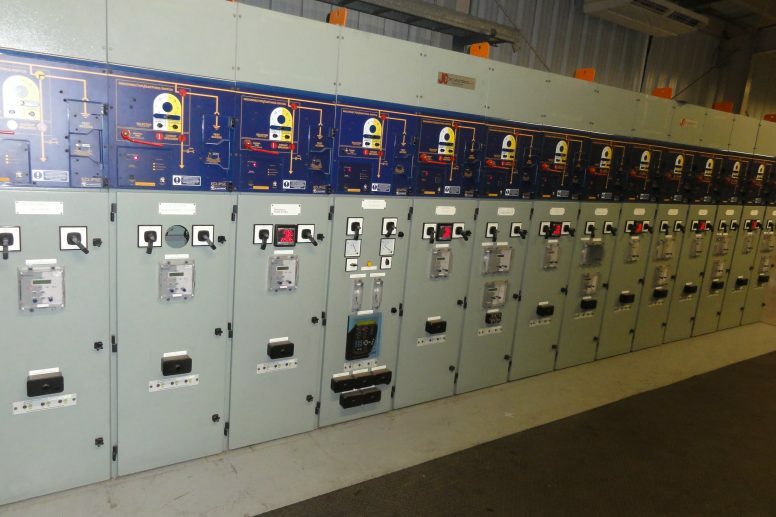 The solution comprised a robust SCADA Control Centre to control and monitor the primary power station including the 10 generators and the vital secondary switching substations, through a secure communications architecture. Lucy Electric successfully met SKELEC’s expectations by providing an overall distribution management system as show in figure 1 (below). The technical solution was designed to be interoperable with the third party smart grid project, and the first step towards developing a fully advanced DMS system in future. During commissioning, hot and humid weather conditions were a daily challenge for the teams, with temperatures of 50 degrees Celsius common at the substation sites. Lucy Electric switchgear and RTUs were specified to meet these challenging environmental conditions and operated eﬀectively despite the high humidity and temperatures. The smooth running and delivery of the project was largely down to Lucy Electric maintaining a very positive working relationship with the SKELEC team. Over the course of the project the team built up trust with the client by consistently delivering the project to plan. When any issues were encountered, be they technical or operational, SKELEC and Lucy Electric were able to resolve them by working together. A further complication was that during all stages of the project, Lucy Electric, in consultation with SKELEC, had to deploy the solution under live operating conditions in order to minimise the impact on SKELEC’s daily network operations. Additionally owing to the criticality and redundancy of the distribution network and tight implementation schedule constraints, a comprehensive, structured and detailed outage plan had to be created. Like any large project, Lucy Electric had to liaise with several organisations, in diﬀerent countries across multiple time zones. Coordinating all product development and logistics between Dubai, St Kitts and the UK, with tight timelines for equipment inspections, shipping and in-country clearance of all goods was a major challenge, but an efficient logistics operation helped minimise the costs of storage and product development. The complexity of implementing and testing the secondary communication infrastructure and interfacing with the primary link via a third party implementing SKELEC’s smart grid project (along with third party vendors) across multiple time zones, proved to be extremely challenging. To keep the delivery of the overall communication solution on track, regular meetings between all parties were held to mitigate technical issues. Lucy Electric delivered the entire project ahead of schedule, on budget and to SKELEC’s requirements. 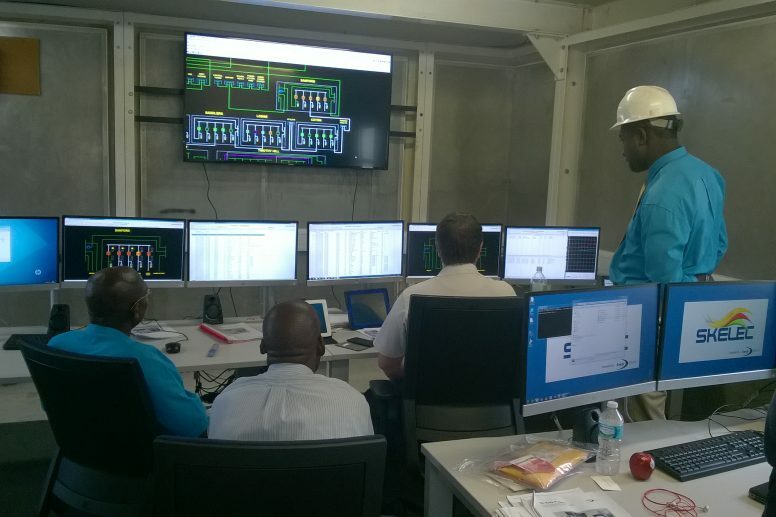 With the vital secondary switching substations of St Kitts’ electricity distribution network now automated and managed from a central location, fault identification, isolation and restoration times have been substantially improved. This has proved to be particularly valuable, delivering significant cost savings through improvements to operational efficiency, reliability, network planning, and customer service quality. 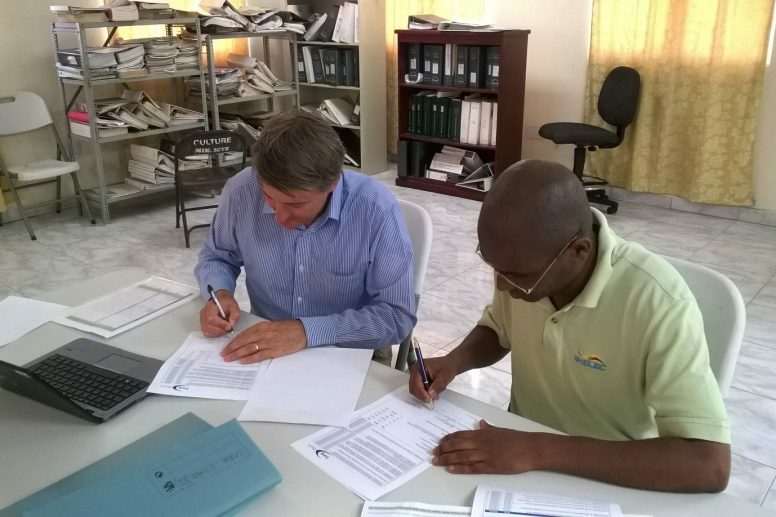 The Lucy Electric team also worked with SKELEC to create a network automation roadmap for the future to support the evolution of electricity generation on St Kitts. The new SCADA/DMS System is completely scalable, allowing additional automated field devices or any third party system to be easily incorporated into the deployed management network solution. Furthermore, Lucy Electric’s solution will play a vital role in the growth of the island’s electrical power supply, by providing SKELEC with the correct tools to operate, plan and develop the network in a sustainable way, through lower fuel costs and the more efficient use of energy. Reducing reliance on external suppliers of fuel by moving towards renewable generation sources will help combat climate change, and make St. Kitts a more sustainable and competitive nation.